Clean the wheel speed sensor mounting area on the steering knuckle of any accumulated dirt and debris. 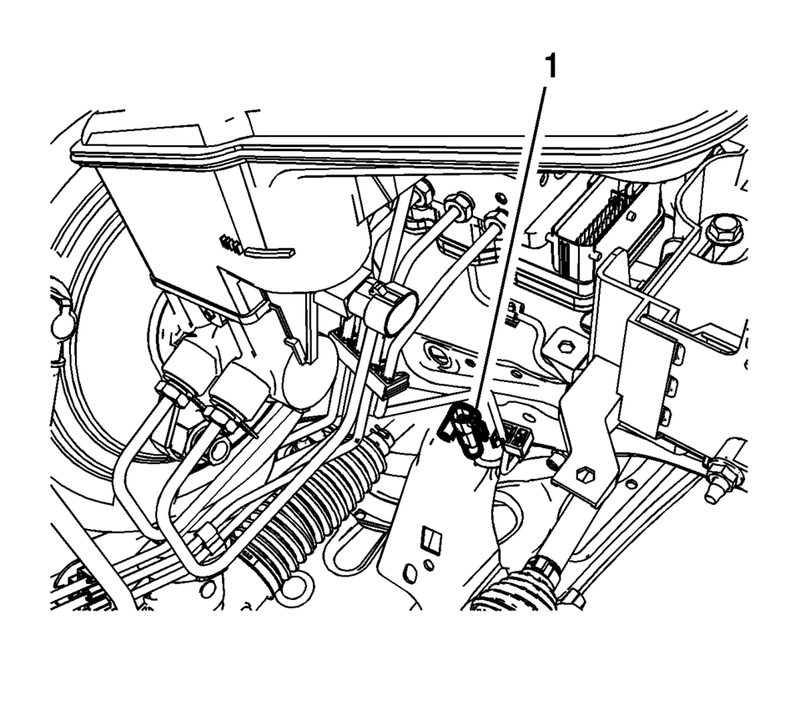 Disconnect the wheel speed sensor electrical connector (1) and release the connector from the vehicle body. Release the wheel speed sensor harness grommets (1) from the brake hose brackets. 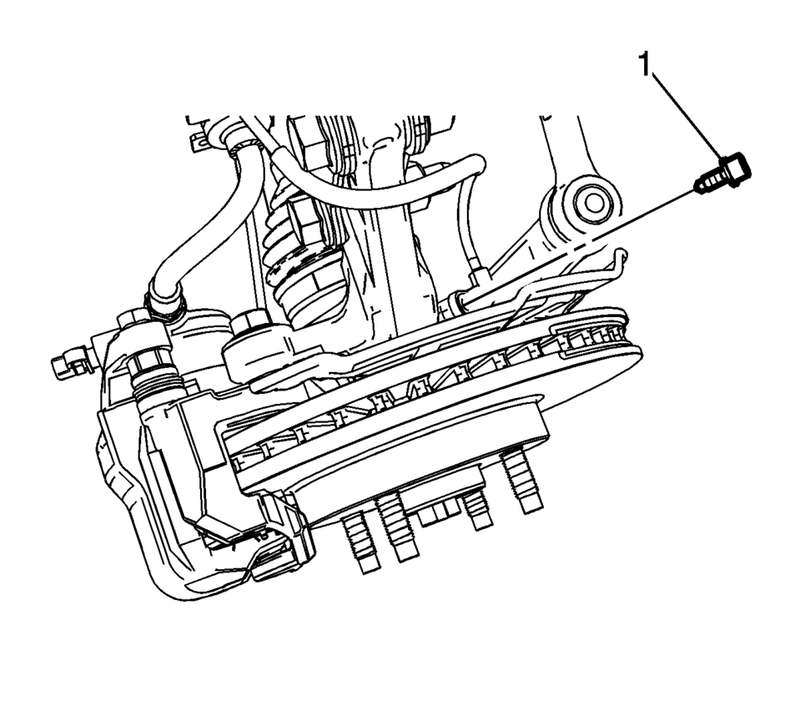 Carefully remove the wheel speed sensor (1) from the steering knuckle by pulling the sensor straight upward using a slight twisting motion. 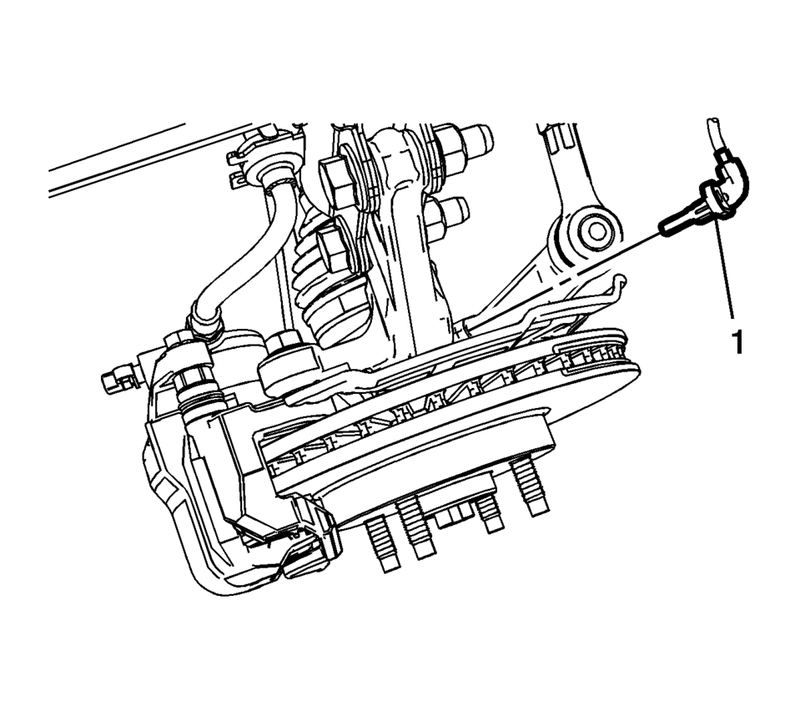 Install the wheel speed sensor (1) to the steering knuckle. 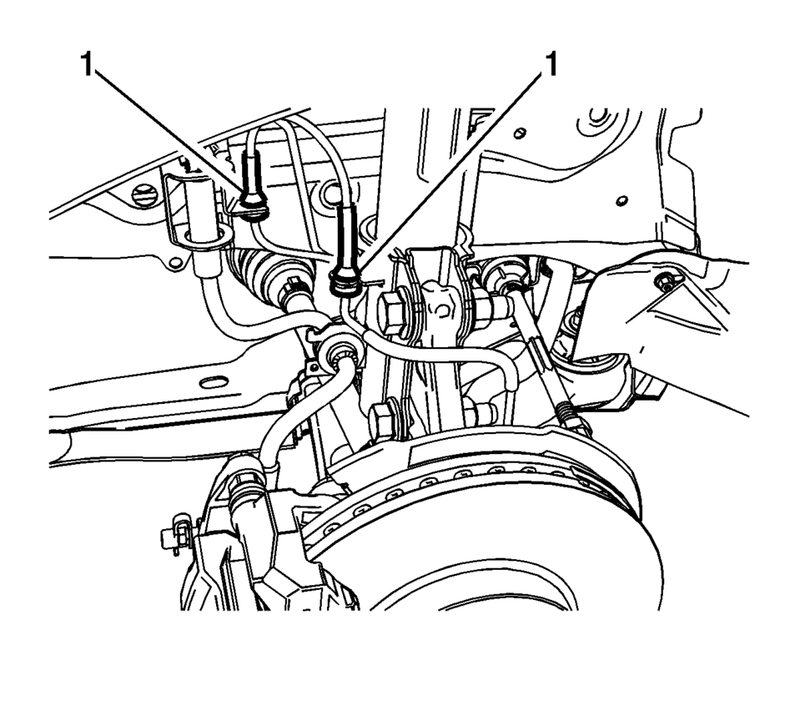 Install the wheel speed sensor harness grommets (1) to the brake hose brackets. Connect the wheel speed sensor electrical connector (1) and install the connector to the vehicle body.